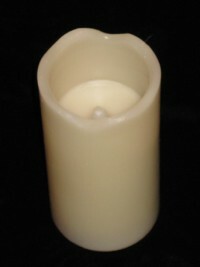 Most candles begin as either white or off-white. 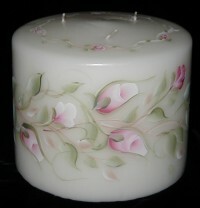 before hand painting my design. 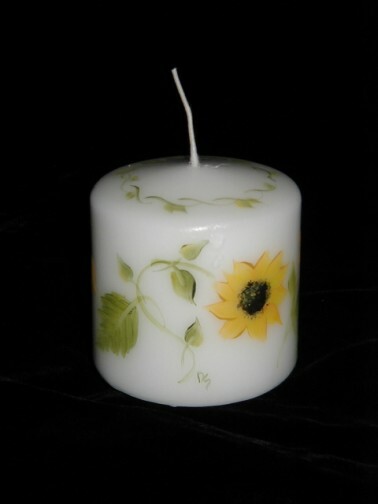 Your candles can be basecoated in the color of your choice. 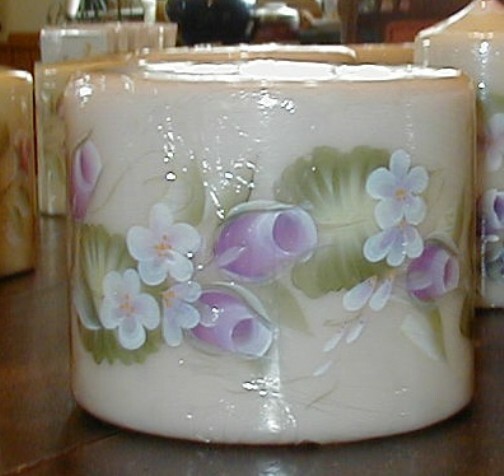 All candles are sealed for years of enjoyment. 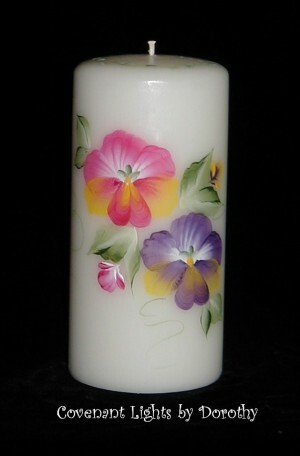 If you want glitter, just let me know when ordering!! 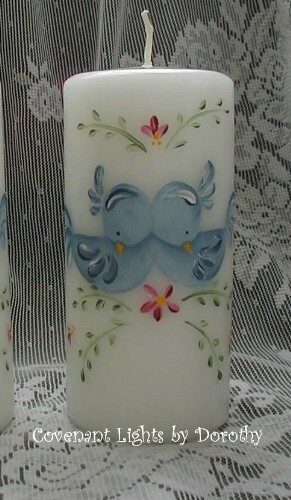 Loving Bluebirds hand painted on this white candle. 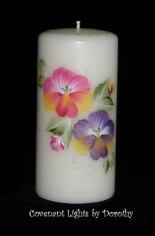 Happy-faced pansies hand painted all around. 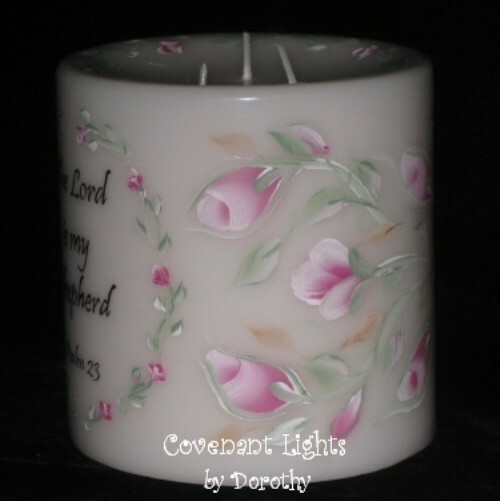 Roses hand painted all around a pink based candle. 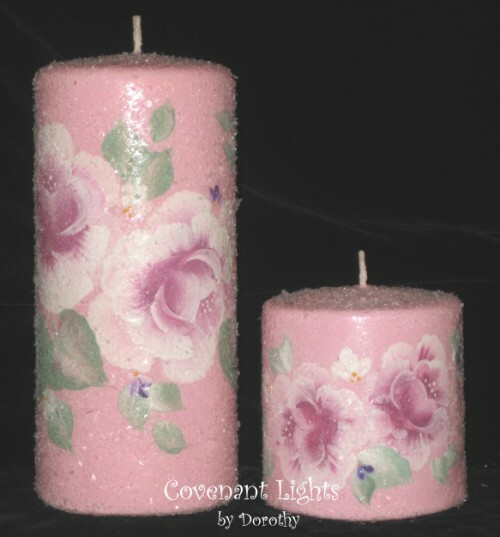 If you'd rather not have glitter, just let me know! A lovely ring of hand painted pink rosebuds. Ring of Hand Painted Violet Rosebuds with small white flowers. 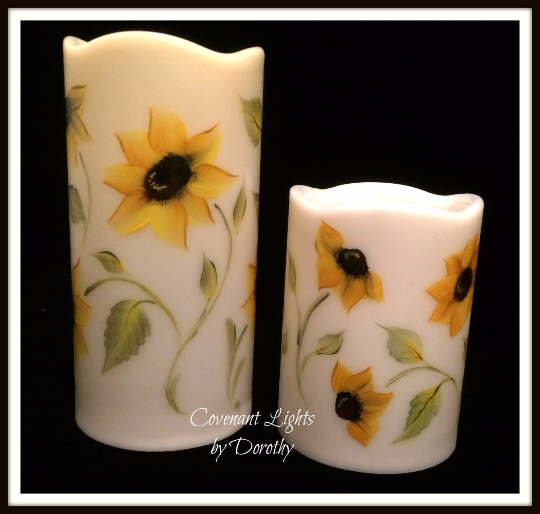 Sunflowers hand painted all around always bring a feeling of joy! 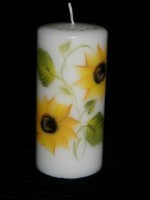 Flameless Candles that you can enjoy for years to come. 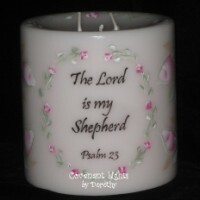 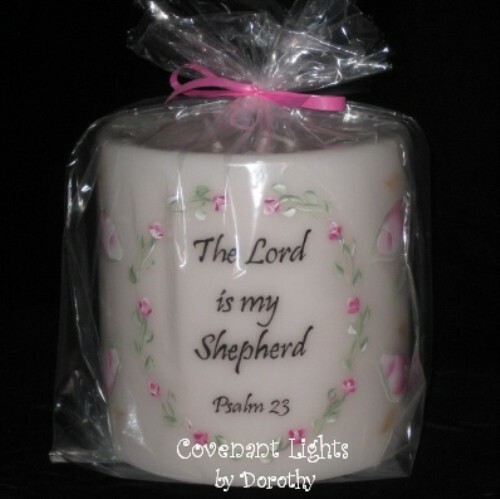 "The Lord is My Shepherd - Psalm 23" hand painted inside an oval shaped ring of rosebuds with additional rosebuds and greenery.